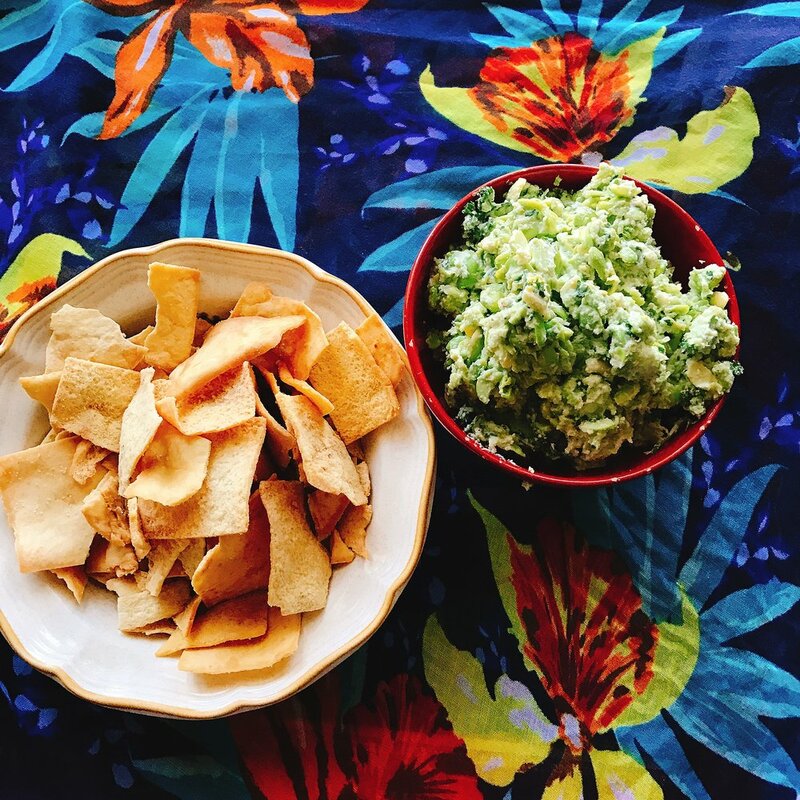 Protein-rich edamame is the star in this vegetarian and gluten free dip that is packed with herby flavor. Ricotta adds a smooth richness that makes this dip versatile, whether you're spreading it on toast or scooping it on your favorite crackers. Unless you have been living under a rock for the past few years*, you have no doubt seen/hear/partaken in the phenomenon known as Avocado Toast. *In which case, are you Patrick Star?!?! Hi Patrick!!!! Ah, yes. Prices of the humble avocado have soared ever since the first time a restaurant realized that it could mash up some avocado, add a dash of olive oil, salt, and pepper, slap it on a slice of bread, and charge $5 for it. Pricey? Oh, yeah. But people still flocked in droves to these restaurants, eager to get their hands onto a slice of the good stuff. My friend group is comprised largely of commercial consultants who travel for work Monday to Thursday every week. As such, we have made a tradition of hosting Family Brunches on Saturday or Sunday (at The Alamo DC! ), and week after week we serve Avocado Toast with egg, salsa, and the occasional side of waffle. Why fix what isn't broken? Brunch shenanigans. You haven't lived until you've used a bendy straw walkie talkie. After a long day of brunching (Cap'n Crunch Chicken & Waffles! 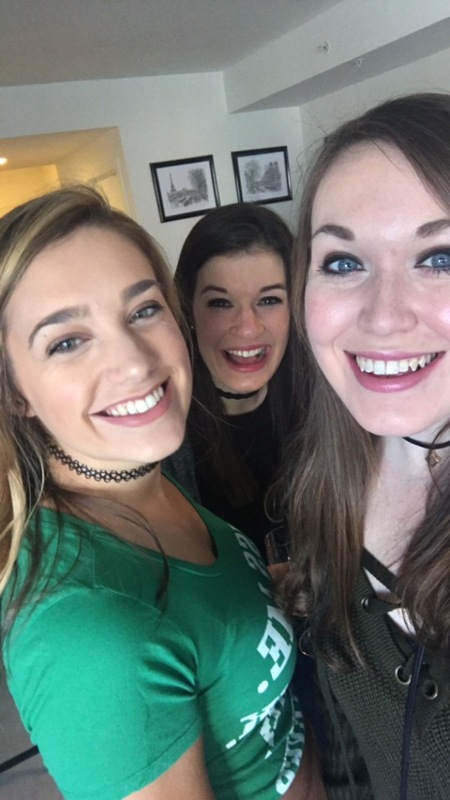 ), my friends and I headed over to a birthday party for one of their roommates. Said roommate works at the British Embassy, so my (quite drunk) self was expecting to walk into a room teeming with British accents, meet the love of my life who had the appearance of Cedric Diggory and the singing voice of Ed Sheeran, and be swept off my feet for the remainder of eternity. We would move to the English countryside, where I would run a neighborhood bakery famous for its scones, and my husband would be a successful international businessman who brought me back presents from his various travels. We walked into a quite quiet party, where the guests were sipping infrequently from their wine glasses, nibbling on snacks, and - worst of all - there was nary a British accent to be found. However, the saving grace was what I thought was avocado toast, but was actually EDAMAME TOAST! That's right, the humble soybean, a staple of Japanese restaurants, pureed and mixed with cheese and spices, then spread atop buttered slices of bread. My mind was BLOWN. In that moment, I knew I needed to recreate this wonderful concoction for my Rodan + Fields business launch party the next day. This spread is packed with protein, naturally gluten free, and freaking DELICIOUS. My guests couldn't stay away! Make this for your next gathering - or for, like, lunch - and revel in the fact that there is still hope for you to find a beautiful Englishman in your future. 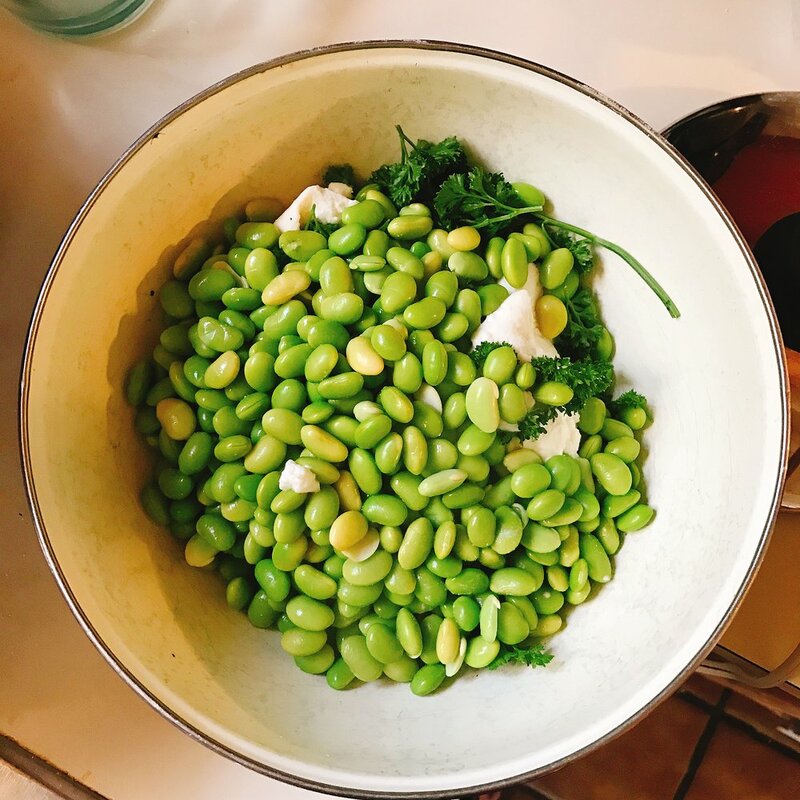 To begin, add the frozen edamame to a pot of boiling water and allow to cook for about 4 minutes, until bright green and no longer frozen. Drain off the water and add the edamame to a food processor with the ricotta, parsley, lemon juice, garlic, salt, and pepper. Blend to your desired chunkiness, then adjust the seasoning to taste. Then, serve! It couldn't be easier! Warning: you may eat this all in one sitting. Just let it happen. Live your life!